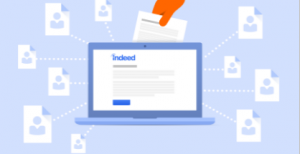 After 15 months at Chill Insurance, I’m delighted to announce that I’m going to be joining Indeed – the world’s most comprehensive search engine for jobs as Content Marketing Manager. The scale, potential and ambition of the company is huge and it was an opportunity that I just couldn’t turn down. The chance to work in a content specialist role, take on more responsibility, collaborate with and learn from a large team of digital marketers at a company with a global reach, all while indulging my passion for employability was hugely appealing. Indeed opened its EMEA HQ in Dublin last year and they have big plans for the future, so there couldn’t be a more exciting time to join one of the world’s largest web companies. To give you an idea of its size, each month the Indeed website receives over 140 million unique visitors. While my role at Chill Insurance was broad in its scope with responsibilities across earned, owned, social and paid media, my new role at Indeed will focus on content marketing – so I’m looking forward to focussing all my attention on creating content that drives engagement, leads and sales. Why content? Search and content are at the heart of digital marketing and I can only see this trend continuing as Google tweaks its algorithm to favour fresh, engaging and unique content. In fact, that’s why I’ve bet my career on it. I’d like to thank Jim Durrant, Fergal Lynch, Kevin Gannon, Michael McLaughlin, Andrea Bland, Sinead Greene and Orla Kenny for being such great colleagues. I genuinely learnt so much from each of them. There’s many others who deserve my thanks too, but i’ll save that for another day. I’m sad to be leaving to be leaving Chill Insurance, however I must admit that I can’t wait to begin working with such a bright and creative group of people during what is an exciting time in Indeed’s growth. Given my new role, expect to see more posts focussing on content marketing and the strategy behind it in the near future.